If you follow me on social media, you may have seen that I recently got engaged - June 8, 2018 - BEST DAY EVER! Soooo cue all the working out, teeth whitening, and anything else we need to prep for our big day! Christopher and I have literally been talking about getting our teeth whitened for the last month or so, and now that there’s a diamond on my left hand, we felt it was the perfect time to start! I’ve seen people going crazy over the charcoal teeth whitening powders on social media and decided we just had to try it for ourselves. 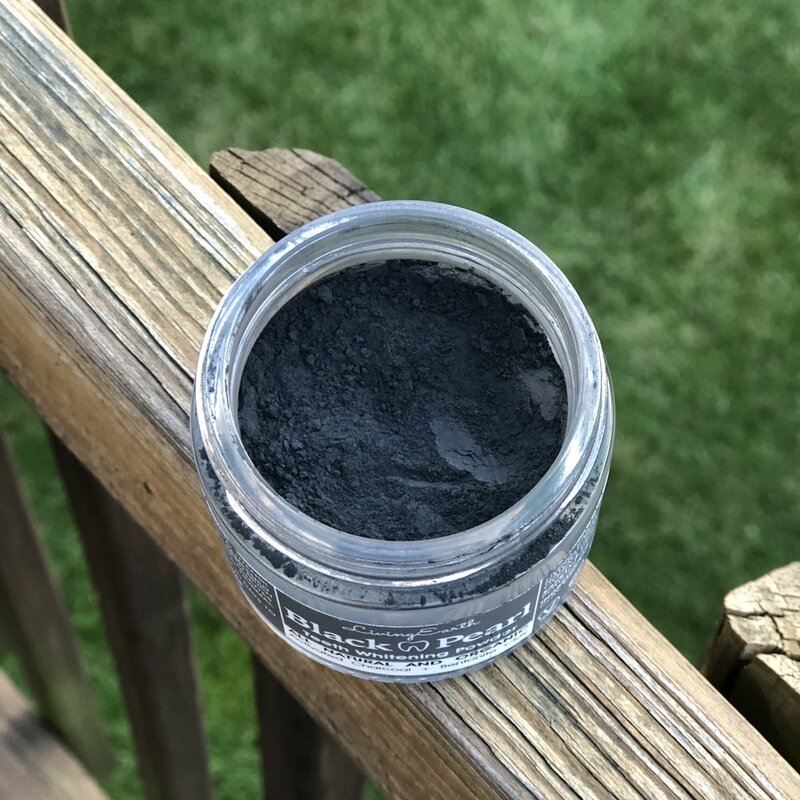 We purchased the Black Pearl Activated Charcoal Teeth Whitening - Organic Powder and got it with free shipping in two days thanks to Amazon Prime. You guys. This stuff is seriously the bomb! I’m shocked by how white my teeth are already and we’ve only been using the product for less than a week. I absolutely cannot wait to see how our teeth look after a month AND especially one year down the road for our big wedding day, because I’m definitely not going to be able to give up my coffee. Also - ORGANIC, cruelty free, teeth whitening?! Um, yes please! If you want the results without having to pay the big bucks, I highly recommend this product. It’s so inexpensive and completely worth trying. Click the link below when you’re ready to brighten your smile too!